To thrive in today’s marketplace takes more than simply meeting customer challenges. It means surpassing expectations by creating innovative solutions that offer real added value and provide them with a solid competitive edge. Danfoss has a long tradition of innovation. To enable us to develop, test, prove and demonstrate our innovative solutions, we have created a global network of Application Development Centers (ADC). They affirm our commitment to helping customers Engineer Tomorrow and advance energy efficiency and climate-friendly solutions. – Collaborate with experts – get access to state-of-the-art test facilities, superior technical expertise, and application knowledge by teaming up with our experienced engineers. – Innovate through testing – together, we improve your solution and prove your performance by benchmarking, developing, remodeling, testing, and validating your system. market in an environmentally friendly way, and get ahead of your competitors. Danfoss is deeply aware of industry trends on both a global and local level. Highly competent engineers, based in our strategically located ADCs, proactively develop innovative solutions that blend global capabilities with local expertise. The laboratory environment and application expertise results in proven technology immediately available for our customers. “Our objective is to make each of our Application Development Centers a place where local Danfoss application experts work with our customers in a collaborative, innovative environment that accelerates technology and product development and propels business,” explains Stefan Pietrek, Senior Director, Global Applications, Danfoss. Our global ADCs are based in strategic locations around the world. The center’s main goal is to help our customers test new solutions in real applications for air conditioning. This state-of-the-art laboratory features three fully automated test facilities capable of accommodating residential and commercial air-conditioning and heat pump equipment, including rooftop units, from 1.2 to 50 tons and air-cooled chillers up to 150 tons. Additionally, it will be able to test mildly flammable refrigerants at global nameplate voltages, with real-time data acquisition and performance analysis. This center is equipped for the testing of various customer units in climatic controlled chambers, functional testing of refrigeration components, and full-scale supermarket and chiller application testing. The center includes a component test laboratory, two psychrometric testing laboratories and an industrial refrigeration ammonia training unit. With a fleet of development and demonstration vehicles representing the agriculture, material handling, construction and turf care segments of the mobile off-highway equipment market, this center supports customers’ machine development goals by bringing the latest component and solutions technology into real-vehicle applications, thereby reducing customer risk and cycle time. This is the first ADC within Danfoss to specialize in marine and offshore applications and energy storage. It is equipped for the functional testing of AC and medium-voltage drives, grid converters and new applications. The MCHE test lab consists of two psychrometric rooms (6RT and 10RT). These test rigs are used for getting heating and cooling capacity/wind flow/EER/COP for room air conditioning, air source heat pumps, water heaters and heat exchangers. The latest addition to the network, opened at the beginning of 2018, is the Marine and Offshore Application Development Center in Singapore. Using advanced Danfoss calculation and selection software, the ADC is equipped to simulate real-life conditions in different marine applications. It is also designed for the functional testing of new applications, redundant solutions, energy storage and grid converters. It is specialized in test set up for integrated solutions. “Although seaborne trade is still the most energy-efficient and environmentally friendly mode of transporting cargo, there are huge opportunities to do more. Finding more efficient ways of operating is our priority,” explains Mike Smits, Vice President Danfoss Drives Sales Asia Pacific (and India) Region. “Our Marine and Offshore ADC will help increase innovation, bring us closer to our customers at a system level, and ensure that we better manage climate challenges in the industry. This will include areas such as the fast-developing hybrid power systems,” Mr Smits continues. “With more than 130,000 ships annually calling at Singapore’s port, this is the perfect hub for the Marine and Offshore ADC. It has proved to be very successful in a very short period of time. 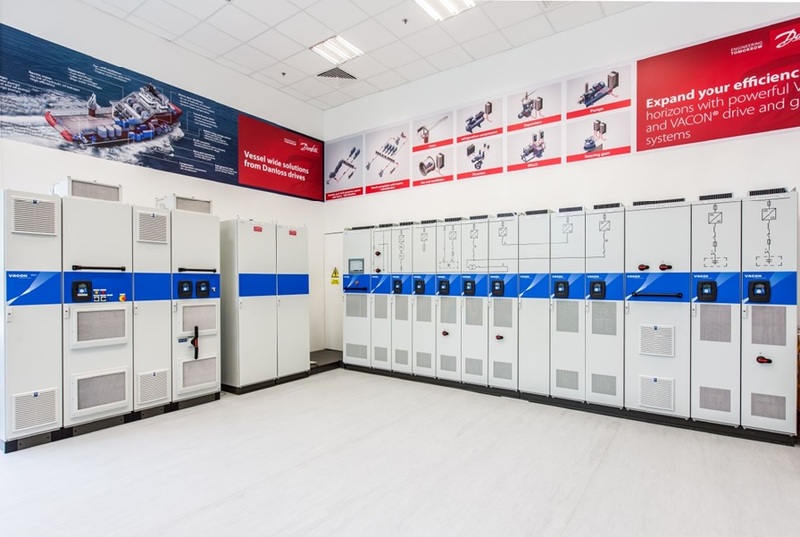 And I am delighted to see that we have around three customer projects in progress in the ADC every week,” concludes Soren Kvorning, President, Danfoss Asia, Pacific Region. If you have any questions about our application development centers, please don’t hesitate to comment in the box below. In the meantime, you can read more on our website or sign up to the Danfoss Drives newsletter to receive great content from Danfoss and the drives industry as a whole. free pixel guns are available here. We have also ADC in Netherlands and they will be following our success with ADC Singapore. Soren Kvorning, thanks so much for the post.Really thank you! Great.